It was a cold day when we visited Coverack Harbour in Cornwall. I was thinking about how tough you would have to be to work as a fisherman, going out to sea in all weathers. This toughness and ruggedness and the wildness of the sea is what made me feel this painting should be textured and slightly distressed looking, to give it a bit of a rough feel. 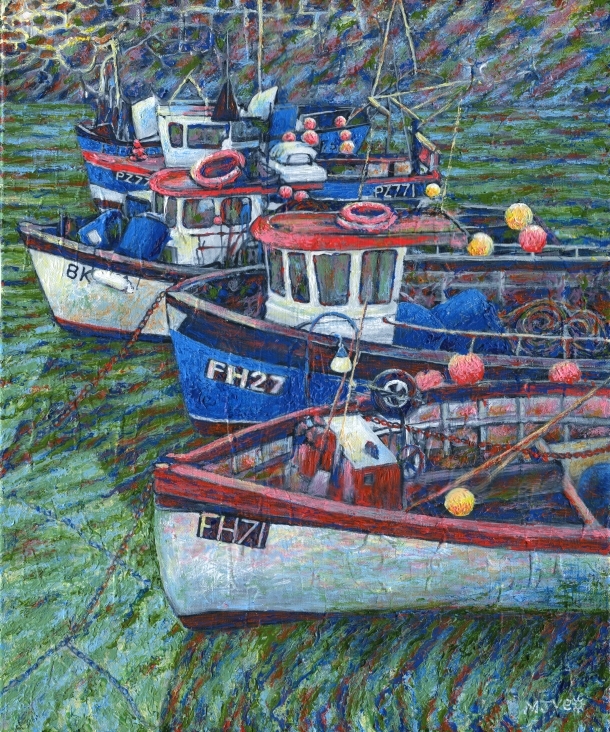 The bright colours of the boats also seemed like an important thing to emphasise.